This AC power adapter for selected HP notebook series has a power consumption of 90W. HP Smart supplies power to the notebook and simultaneously charges the internal battery so that when the device is disconnected from the power source, it will be instantly ready for mobile use. This AC power supply can power a laptop in the office or at home, but can also easily fit into your bag when you're travelling. Laptop adapters are used to power and charging a laptop's battery. In addition to the adapter provided by the manufacturer, it is possible to use other models. It is crucial to select an adapter with the correct connectors. What are the basic types? 4.50 mm, 7.40 mm Done! 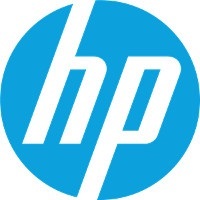 For shipping to other EU countries visit this page HP 90W Smart. Für Versand nach Deutschland, besuchen Sie bitte HP 90 W Smart. Chcete doručit zboží do Česka? Prohlédněte si HP 90W Smart. Chcete doručiť tovar na Slovensko? Prezrite si HP 90 W Smart. Für Versand nach Österreich, besuchen Sie bitte HP 90 W Smart. Magyarországra történő kiszállításért tekintse meg ezt a termékoldalt: HP 90W intelligens.